The Dead Zebra Android Minis have been a fixture of the Android community since the early days. There have been numerous blind box sets, as well as special editions to commemorate events or locations. There's a new special edition set today, and it's aimed at the pet lovers out there. The "I Love My Dog and Cat" special edition is pretty self-explanatory. 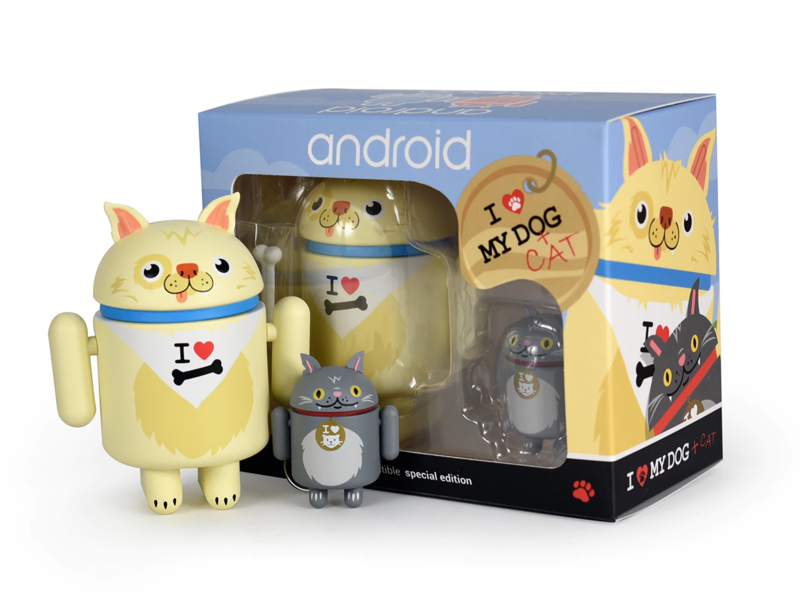 They're Android figures done up to look like a dog and cat. The dog is a larger 3-inch mini, and the cat is a 1.5-inch keychain-style mini. This is similar to the bear and scout set from summer 2016. Notably, the antennae on these figures have been replaced with ears. Otherwise, they're standard bugdroid shapes. 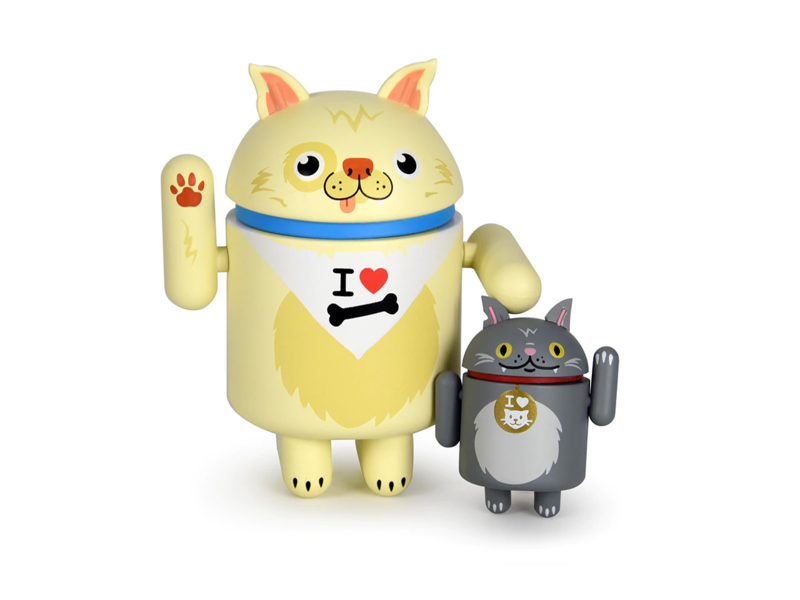 The I Love My Dog and Cat special edition set will run you $16 with a limit of 2 per household. Shipping in the US will be a few bucks more. Shipping begins on Monday, September 17th.